Fernando obtained his BS degree in Computer Science from the University of Maryland in 2000. He continued his studies at Yale University, where he received his MS in Computer Science in 2002 focusing on Artificial Intelligence. His area of expertise is in the design and development of secure Web and Mobile solutions. In 2005 he started working at GMS, Ecuador’s leading IT security services company, where he became the Manager of Innovation and Development in 2008. He has significant experience implementing ERP systems as well as managing and scaling development teams. 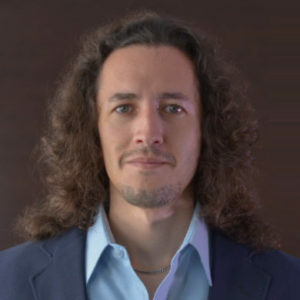 Fernando is one of the co-founders of Viafy, where he currently serves as CTO.